WELCOME TO WAXIE SANITARY SUPPLY, THE BEST VALUE IN JANITORIAL & CLEANING SUPPLIES SINCE 1945. WAXIE Solution Station dilution control offers a closed-loop system and spill-resistant bottles to help ensure no chemical contact is made. WAXIE Solution Station dispensers provide unparalleled end user flexibility to customize a dilution control dispensing system designed to meet the needs of any institutional or industrial cleaning application. WORKPLACE WELLNESS - Clean hands save lives! Keeping hands clean is one of the most important steps we can take to avoid getting sick and spreading germs to others. It is best to wash your hands with soap and clean running water for 20 seconds. WAXIE has what you need to stay healthy! ULTRA GUARD WOOD FLOOR CARE will simplify your wood floor care maintenance program while simultaneously taking it to a level previously unavailable in the industry. WAXIE has combined the finest wood floor maintenance chemicals, pads and equipment to give you the Ultra Guard advantage. The WAXIE Sanitary Supply 2011 digital flipbook catalog is here! 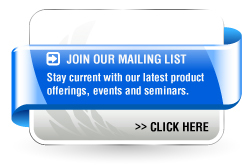 If you have previously bookmarked the link to the catalog you will automatically have access to it. WAXIE's janitorial supply digital flipbook catalog features thousands of cleaning supply products, equipment and accessories for your every cleaning need. It also features product selection charts and specification tables, company information, location information and helpful tips. Click here to view the digital flipbook catalog. WAXIE Sanitary Supply is pleased to introduce WAXIE-Green products as a solution for customers committed to sustainable, green cleaning. 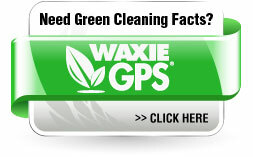 WAXIE-Green products often include third-party certifications to substantiate environmentally preferable claims. WAXIE Sanitary Supply offers these resources to reduce environmental impacts and to promote safer and healthier work environments.